The Horwoods were a notable family in Barnstaple, North Devon. 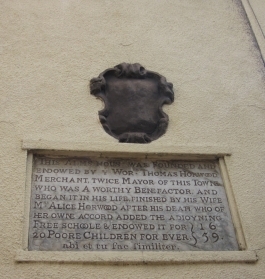 Thomas, who had been mayor of the town began almshouses for 'poor and ancient decayed people' died in 1658 leaving the almshouse to his wife, Alice, who continued the almshouse and also started a school for poor children next door. Although they are next to each other, the girls' school is on Church Row and almshouse is on Paternoster Street right in the centre of the modern-day town. Both buildings are now listed. A new building was erected for this school and the Blue Coat Boy's School in 1844 at North Walk,and the two schools were amalgamated. In 1882 the girls were moved to the new National School (Bovett). 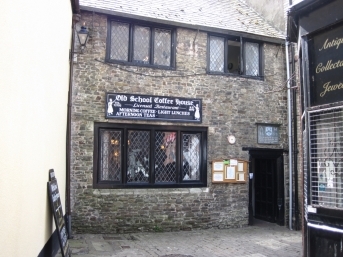 Alice's original school is now a coffee house. The school room was on the ground floor with the living accommodation above. 1659. 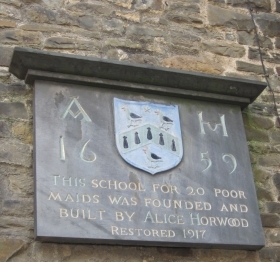 This school for 20 poore maids was founded and built by Alice Horwood. Restored 1917.